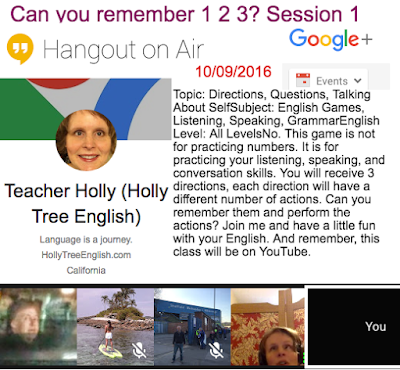 Anatoly's blog: Free English class through google hangouts "Can you remember 1 2 3? Session 1"
Free English class through google hangouts "Can you remember 1 2 3? Session 1"